Generating functions, one of the most important tools in enumerative combinatorics, are a bridge between discrete mathematics and continuous analysis. 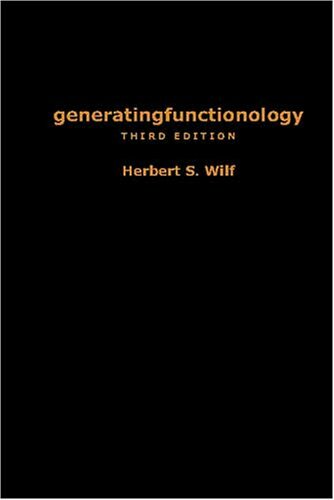 Generating functions have numerous applications in mathematics, especially in: Combinatorics; Probability Theory; Statistics; Theory of Markov Chains; and Number Theory. One of the most important and relevant recent applications of combinatorics lies in the development of Internet search engines, whose incredible capabilities dazzle even the mathematically trained user.